What May Lead Us to Believe an Afterlife? 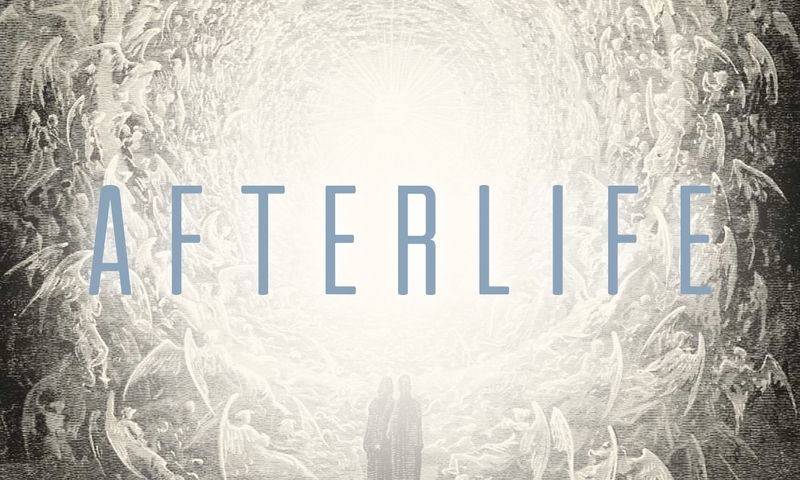 The debate between scientists and the religious continues on: Is there an afterlife? While many religions state that life on Earth is merely the beginning and that you are preparing for life in heaven, hell, or any other realm after your body leaves this physical plane, scientists argue that there is not any proof. Even if you do believe in an afterlife, as most Americans do, have you seen what it looks like? Do you know if it truly exists? This is an age old question, which has one answer: No one truly knows. Although most people believe in some form of life after death, an afterlife does not necessarily exist. Sure many people believe, but belief alone does not make it real. However, not believing that there is an afterlife does not rule it out either. Unfortunately there is not any hard evidence showing proof of afterlife once belief is out of the equation. Hard evidence gives things a definitive answer and makes it true. On the other side, the available evidence is highly controversial, debatable, and open to interpretation. The evidence available is all based on personal anecdotes and experiences. Most of the time an anecdote is good proof, however there needs to be many similar anecdotes to make it true. Several people sharing the same story is much more believable that one person telling a story. Is there an afterlife? No one truly knows for sure, but many claim dramatic stories with such accurate details from their experiences that it's hard to prove there is not. Until there is scientific evidence, this question is going to continue to persist through time. People experiencing a tunnel of light, meeting dead loved ones, or seeing beings of light are happening all the time. Sometimes those on the verge of death enter into a place they relate to heaven before returning to their bodies. All of the anecdotes of near death experiences may be proof of life after death, but not necessarily. It is more possible since they all share similar experiences. The skeptics are sure that these experiences have to do with the way their brains are reacting to different chemicals. In this case, the visions should all be different and vary in degree because no one’s brain works the same way. However, it has to be kept in mind that the near death experiences are anecdotes. There is no true way to determine if these experiences are actual visits to the afterlife, or due to the influence other stories have had on their memories. A study of 3,000 children under the age of five has revealed that there may be some truth behind reincarnation and past lives. These children were able to recall accurate details from these past lives, which included specific details of locations, loved ones, and even their own deaths. One case documents a toddler who was able to recall her handicapped brother killing. She had overheard someone mention the name of town that she had never visited, but it brought up this past memory. She told her mom about her past family, the house she lived in, and her name in this past life. Of the 30 details, 27 of them were later discovered to be true. Other children have been said to have birth defects or phobias that reflect the way they died. Other children have even been known to go into a rage when they recognized their own murderers. Unable to be scientifically proven, there are many stories of people meeting dead relatives that they have never known. One doctor states that more of his patients report meeting dead relatives rather than live relatives in their near death experiences. Many consider these to be hallucinations, but if this was the case one would expect more people to meet people they have met before. There are accounts of people meeting relatives that they have never known, nor have they ever seen pictures of in their life. They are able to explain these unknown relatives with perfect detail. Another type of experience that may lead us to believe there is proof of an afterlife are out-of-body experiences. One such case was explained by a singer songwriter in 1991. She had undergone surgery to remove an aneurism rooted deep in the brain. During this time the medical staff were keeping a close eye on her as they turned off all of the bodily functions that they possibly could to keep as close to death as medically possible. Pam explains that she had watched part of the operation from above her body before going toward a light where she was able to communicate with several of her deceased family members. After the surgery she was able to explain the operating tools, music that was playing, and even quote a few of the medical staff. Her doctor states that there is no way for her to have known this unless she was witnessing the event as she had tape over her eyes and her auditory system was shut down.